I had this skimmer for 2 years and it was nothing but a hassle. Constantly overflowed with just a fraction of water level changing in the sump. Loud pump, air intake is so overdone, it's impossible to dial in. Just when you think it's good and skimming, wait 24 hours and you'll see it overflowing. I tried everything possible to get it to run properly, but couldn't. I replaced it with a Red Octopus and never looked back. 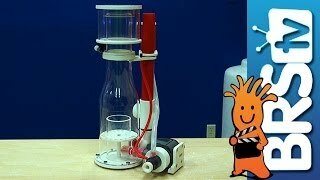 In fact, the skimmer was thrown in the trash recently, but I kept the pump to mix saltwater. Over priced, poor design, zero reliability. I cannot emphasize this enough...don't buy it. There's a reason why these are on sale sometimes where others aren't. I wish BRS would remove their recommendation, or back it up by saying exactly why and in what specific conditions they recommend it. I tried everything to get it to skim and couldn't. This skimmer is terribly loud. The pinwheel broke on my skimmer less than a year after owning it. The skimmer does a nice job producing skimmate, but only get it if you want to spend money on replacement parts and enjoy an incessant hum. I have had to replace the pin wheel three times because the end of the ceramic shaft keeps chipping off. After doing some searches on the internet I'm not the only one experiencing this issue. The unit is very well built and of high quality. I hate having to replace the skimmer but I shouldn't have to constantly replace the pin wheel. I've had this skimmer for about 2 months. It works great. 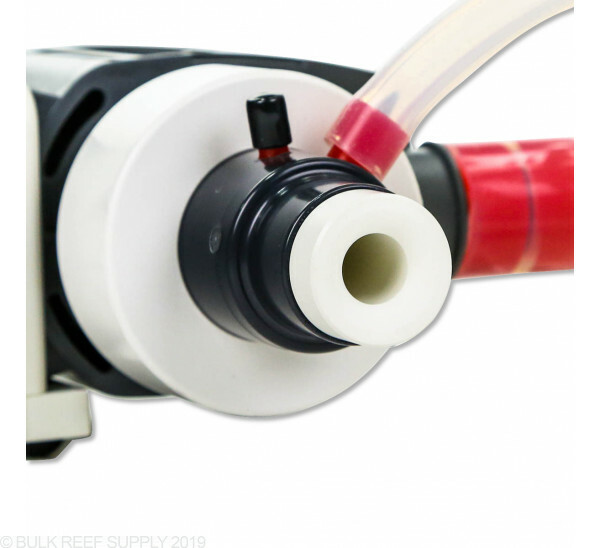 Only complaint is the little ports on the pump can easily be broken off while connecting your air tubing if not careful. Takes about a week or two to break in. I found running it at about 7.5" is ideal for me and I can fine tune from there with the adjusting mechanisms. This is an amazing product, build quality, material, assembly...by far the best product i have ever purchased for my tank. It broke-in in less than 24 hours on a 150 g tank and its pulling major gunk. 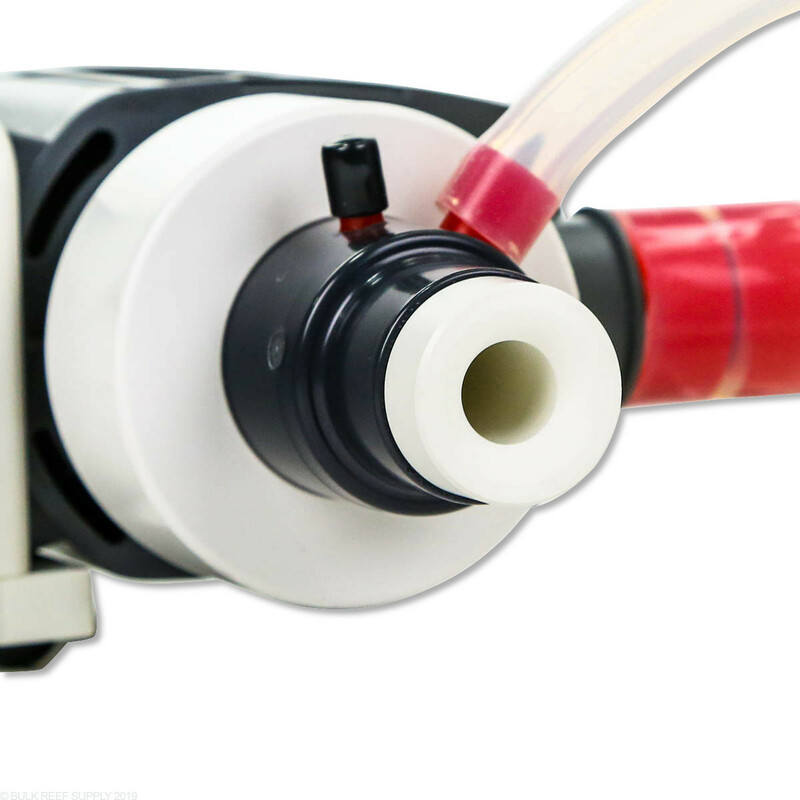 Manufacture's packaging allows the skimmer to shift in transit, breaking a vulnerable output pipe. Given the price point and Vertex's reputation, I expected better. After two attempts, I went in another direction. Like everyone says great quality parts. Not so good engineering. Broke it in with vinegar water mix for 48 hrs and another week in the tank still doesnt seem to be properly broken in. Very touchy when it comes to adjustments. 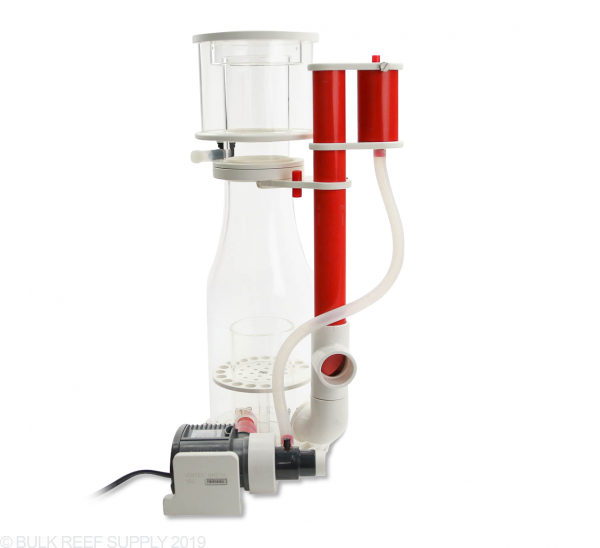 Pump is a bubble beast which should be great if i can keep them in the skimmer and not my sump. Still trying to keep them all from getting to display. Maybe in another 2 weeks it will settle down. I have had the worst experience with this skimmer and I'm finally throwing in the towel after a year and two pumps. It worked great for about 3 months but even then I had issues with it. The pump falls off the skimmer with even the slightest bump which means it's most likely going to fall off if you are doing work in your skimmer that is under a tight stand. As others have mentioned the pump has a weak part which broke 3 times on me during the past year. Vertex replaced it the first time but it broke almost instantly. They then made me pay $100 for a whole new pump which lasted all of a month. There customer service rep made it seem like it was my fault when I followed the instructions and even stopped using my controller so it would not "stop and start too much". Going to try a reef octopus as my faith in Vertex has been destroyed. I paid far too much for this skimmer to give me this much trouble. I would give it 0 stars if possible. Hard to get tuned in just so. 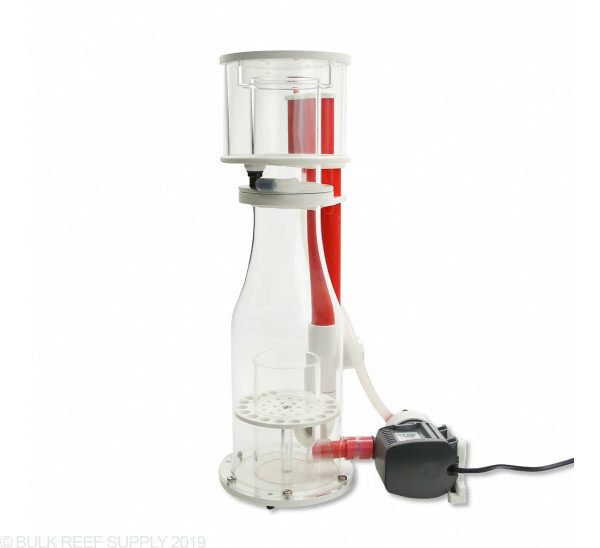 You will without a doubt need an auto top-off with this skimmer. Even slight variances in water level will cause it to A. not skim, B. over flow. I have to open the skimmer cup up to the sump if I turn off my pump for any reason and the level rises. When you adjust this thing at all (and tiny adjustments change it bigtime. Even bumping it), you better babysit it good until you know you have it right. I have flooded my floors on several occasions. Besides those issues. If you get it tuned in and don't look at it crossways, it works good. I have had this skimmer for probably 2 years and have fought it off and on ever since. From the start, Vertex had a recall on the pump and impeller because of it breaking but told me that it was likely due to the fact I was using controller on the skimmer and it was starting and stopping too much. It was actually starting and stopping once a day for feeding which I don't believe is excessive. I received a new impeller and housing assembly which worked fine until recently. There is a whole assembly on the intake of the pump that has to do with air intake etc, but for the life of me I can't get it to change anything no matter what I twist or turn so it appears to be pretty useless overall. The tabs that hold it all together were quite thin and have broken off so it is being held in place right now with zip ties. I know Sicce makes a good pump, but it's all the modifications that were done to the pump to make it a skimmer pump that really are failing. Overall, I agree that the skimmer is pretty, but it really hasn't produced that great of skimmate on a CONSISTENT basis. As others have pointed out this thing is touchy. Just a little change in water level or chemistry or even a filter sock change and it is overflowing like crazy. So unless you are really patient and want to spend a lot of time fiddling with your skimmer then I would avoid this one. 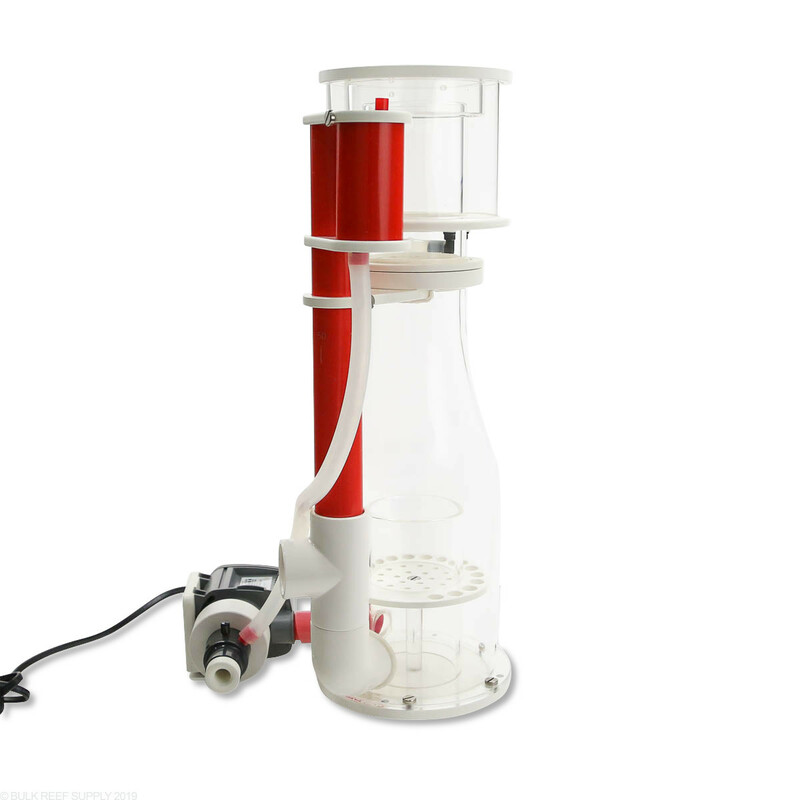 In addition, try tracking down replacement parts or info on warranty service for this skimmer. I didn't have any luck with trying to find parts or even a replacement pump. I finally just decided to cut my losses and I'm gonna try a Skimz "skimmer" and see what kind of luck I have. Can you tell me what the footprint is for the Vertex Omega 150 Protein Skimmer? The footprint: 9" x 12"
i have a 70 gallon tank, with 70lbs of live rock and 6 fish (mostly tangs) + a sump which i would guess holds another 10 gallons or more of water. 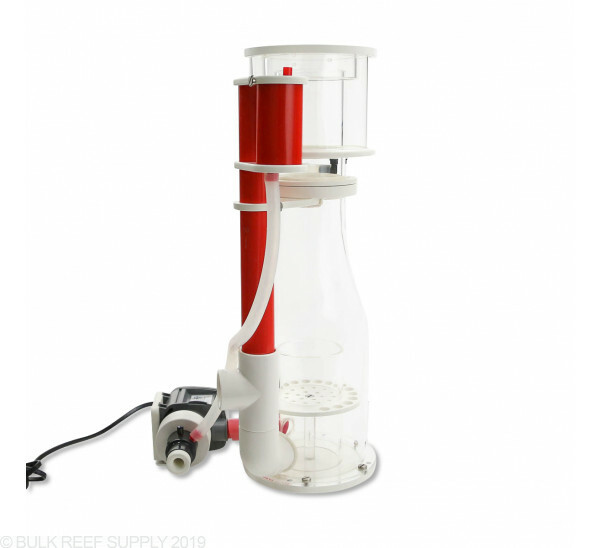 i currently have a coral life cone skimmer - 75. can u advise if my current skimmer is sufficient or could i benefit by upgrading to the Vertex Omega 150 or if any other one ? The Vertex 150 would be a great fit for a heavier stocked 70 gallon tank! 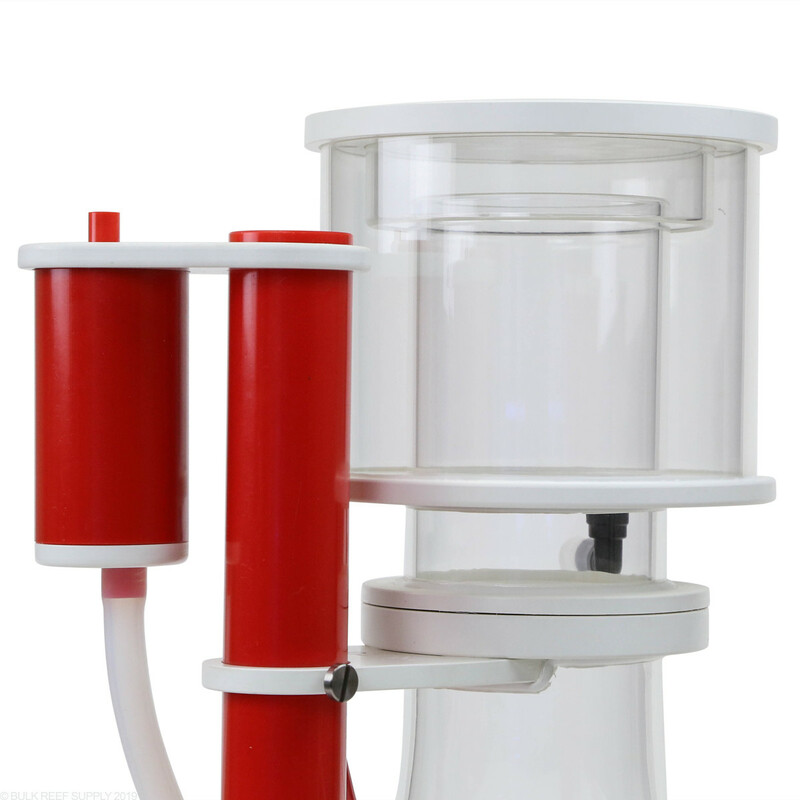 We find that the vertex skimmers a quieter and very efficient in performance and tuning. Feel free to let us know if you have any further questions! Is this a DC Pump? This is a standard AC pump, not a DC. Feel free to let us know if you have any further questions! I am looking for a repalcement impeller for the Vertex 150. For replacement parts, you'll want to reach out to Vertex directly. Adam will take great care of you over there. It said that the optimal level is Max 9.5" to Min 7". My level in my sump is 11". I like the Vertex skimmer but what would you recommend because my water level is at 11" and I don't think I can reduce the water level. My tank is 150 gallons and sump is 30 gallons. What is considered light, medium, and heavy stocking? I have a 75 gallon with a 30 gallon sump. I have 14 corals, a yellow tang, a watchman goby, 2 percula clownfish, a mandarin dragonet, a royal gramma, a male mccosker wrasse, a tiger pistol shrimp, a coral bandit shrimp, 2 peppermint shrimp, 5 snails, and 6 hermits. Is this tank considered as medium stocked? Thanks! This certainly would work well on a system of your size. That amount of fish is right in the middle bio-load range. Feel free to let us know if you have any further questions! You will be able to contact Vertex Technologies directly for the replacement pumps. I have included their contact information below. Hello! 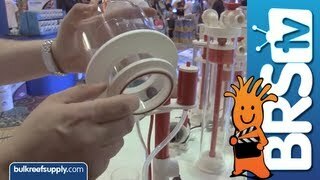 How would one calculate bio-load from light, medium, and heavy (number of fish or size/length of fish)? I am planning on getting a Red Sea reefer 350 and I want to be able to house a heavy bio load. 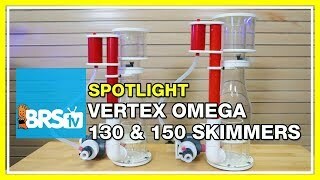 Would the Vertex Omega 150 be sufficient or is the 180? Thanks! You guys are super helpful!! There is no exact calculation, but if the tank has a lot of fish and regular feedings it can be considered heavy bio-load. The 150 would be on the small end and the 180 just about perfect! We do not carry replacement parts for Vertex products but by contacting Vertex Technologies directly they should be able to help you out with whatever parts you need.